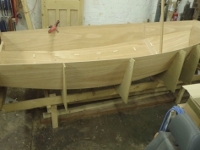 Keep the daggerboard in a set position when the daggerboard is raised up, or partly raised. 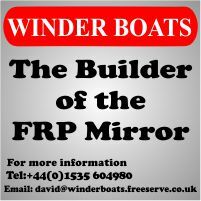 Stop the daggerboard from lifting up when it is fully down. Stop the daggerboard from falling out of the daggerboard case should the boat capsize and invert. This is a very important safety feature. If the board falls out of the daggerboard case, it may impossible to right the boat without outside assistance. If the daggerboard is lost, the boat cannot be sailed to windward or even on a beam reach. The second piece of shock cord with looped ends is fixed, UNDER TENSION, across the forward edge of the thwart, in a central position. When the centreboard is in place and fully down, this elastic runs across the the top of the board. To lift the board, one pulls the centre of the cord towards the aft clear of the centreplate. You will discover that the centerplate will hold any position when the elastic is pressed against its aft edge. This may be OK if you only cruise, but if you race, there are a few snags. Racers tend to have sharp trailing edges on their daggerboards, so these are likely to cut into, and in time, cut through, the elastic. Having the elastic under tension all the time just means it stretches, so then it's no longer under tension and it stops working correctly, so you have to replace it with a new bit. 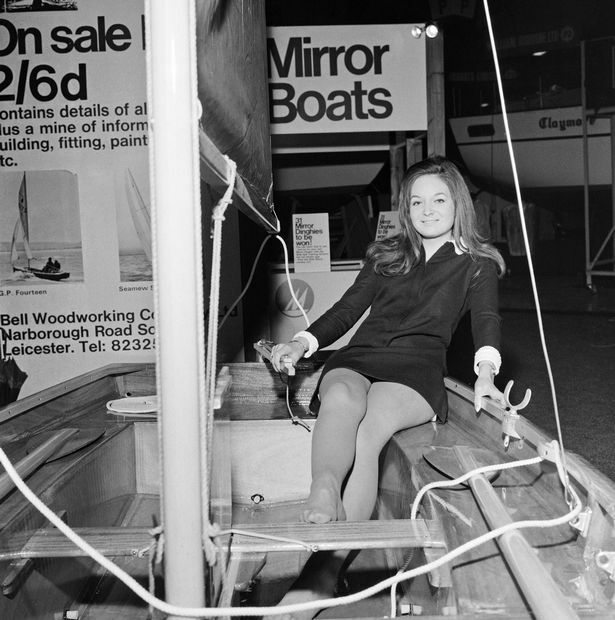 If you have a heavy daggerboard (and there was a time when sheathing a board in glass was not permitted, so the stiffest daggerboards were made from dense hardwood), the elastic may not be strong enough to hold the board in any position. You can get around the first problem by protecting the elastic, a length of plastic tubing over the elastic was commonly used for this. 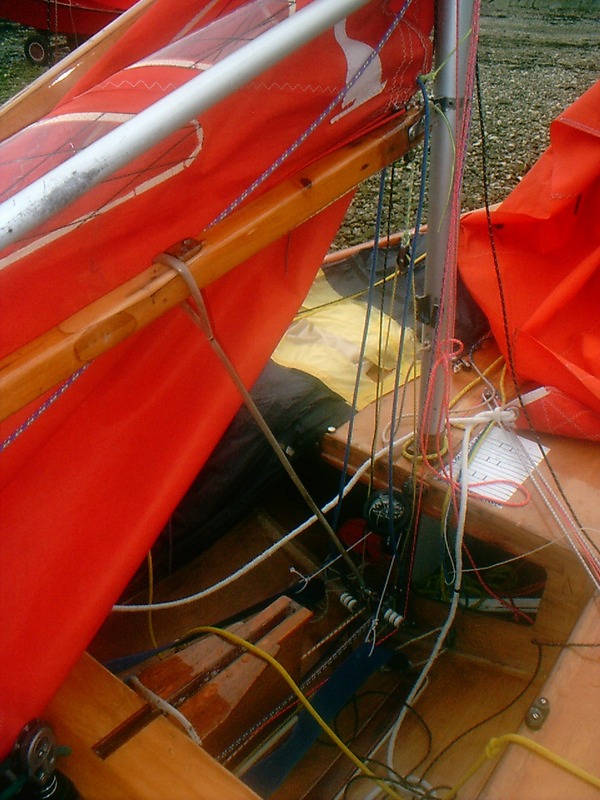 The only solution to all three problems is to not have it fixed across the thwart, but running across the slot and down both sides of the daggerboard case and then the two ends tied together at the back edge of the daggerboard case, forming a loop. This way the elastic is not under tension all the time, only when you are sailing. It bears on the (rounded) front edge of the daggerboard, so does not get cut. It also makes the elastic a little longer, so giving more scope to have it tighter, while still being able to get the board in and out. When the board is down, the elastic goes over the board at the daggerboard case knees. 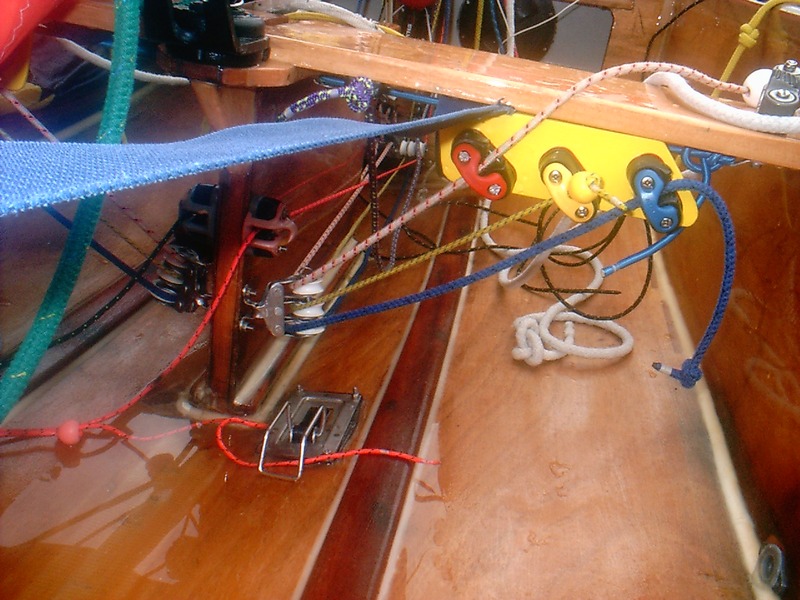 You can make the daggerboard elastic (blue in the photo above) even longer by having turning blocks under the thwart, and running the elastic to the outside edge of the thwart.